Proposals for new and refurbished public open spaces. 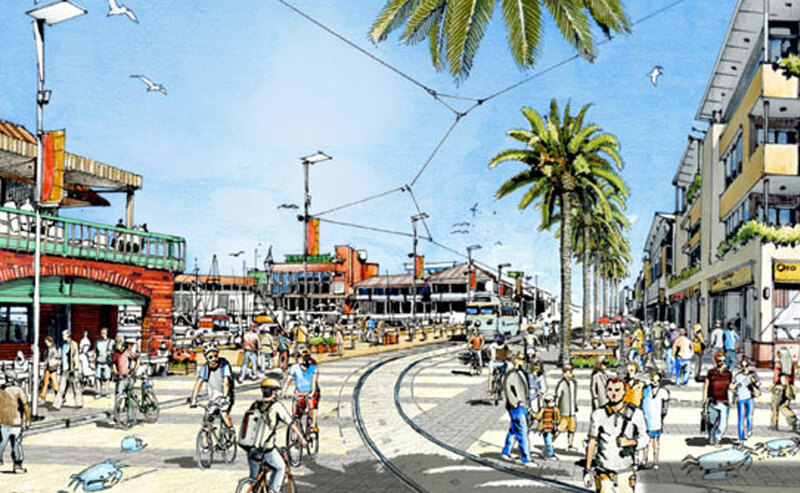 The Fisherman’s Wharf Public Realm Plan supports a diverse and active public life, while building on the Wharf’s historic roots, and acknowledging its status as one of San Francisco’s premier attractions. With this new plan, merchants and neighbors have a clear vision for a more beautiful Jefferson Street and Fisherman’s Wharf.